The Personal Allowance, which is the amount people can earn before they need to start paying income tax, is set to increase by £350 from £11,500 to £11,850 for those earning up to £100k per annum. The National Living Wage (NLW) will increase from £7.50 to £7.83 per hour from April 2018. This will affect UK workers aged over 25. … and a total of £550m for electric cars. He also set aside an additional £1.5 billion in Universal Credit to help those on benefits. £40m was set aside for a teacher training fund for under-performing schools in England. NHS England is to receive £2.8BN in investment (less, though, than the £4BN NHS bosses said is needed). From April 2018, the Consumer Price Index (CPI) is set to replace the Retail Price Index (RPI) as the inflation measure through which business rates will be calculated. It is anticipated that this change will save businesses £2.3BN in the first three years of the change. The Chancellor also abolished the very unpopular staircase tax and promised that those affected to date by the staircase tax would see original rates reinstated. 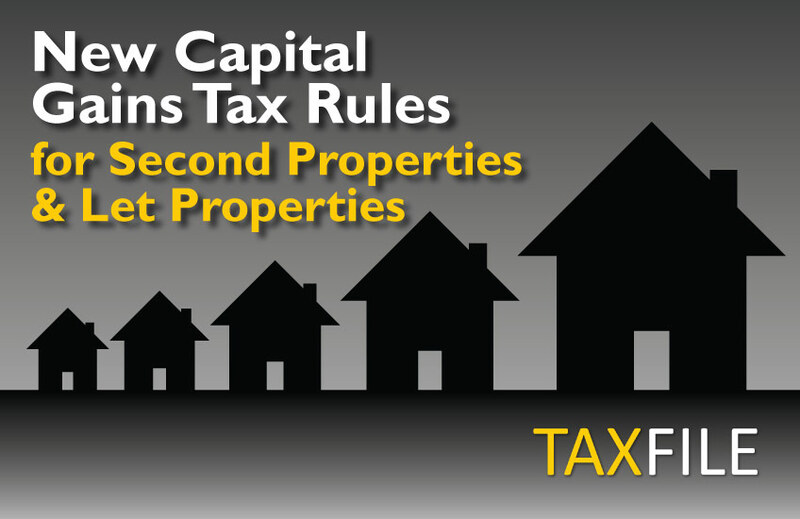 Revaluations will take place every three years (previously five) after the next scheduled revaluation in 2022. 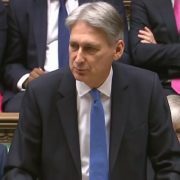 The Chancellor revised down the growth forecasts for GDP, productivity growth and business investment. £3BN was set aside for helping to combat Brexit challenges. For second property owners, powers have been given to local authorities to charge a 100% council tax premium on empty houses. 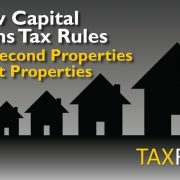 (See our note about those getting an income from property rental below). 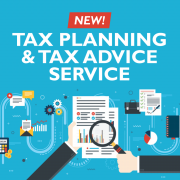 If you have any questions about how the Autumn Budget might affect you, or any queries about any tax or accounting issues and requirements you may have, simply contact Taxfile on 0208 761 8000, send us a message here or book a 20 minute appointment online here and we’ll be happy to help. 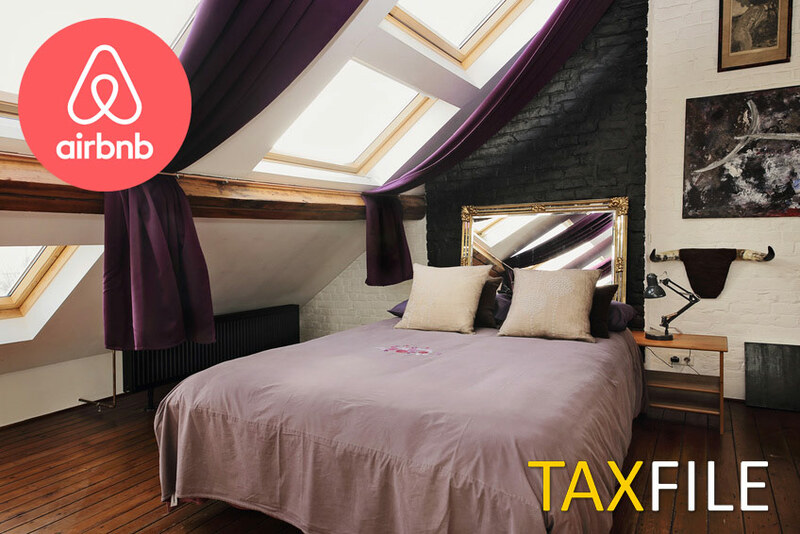 We also offer specific tax help and accounting for landlords so do get in touch if you would like to make sure you’re claiming no more and no less than you should if you’re getting an income from letting property. Links to more detailed HMRC information about the Autumn Budget Statement can be read online here. HMRC have been busy, behind the scenes, shaking things up with regard to the personal data they hold on UK taxpayers. They’ve been pulling in – rather successfully – personal data from various different government departments and bringing all that data into one central place for both them and us to see, whenever the need arises. 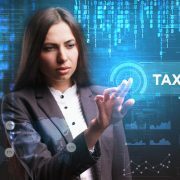 This is all part of their longer-term plan for Making Tax Digital or ‘MTD’ as it’s known in the tax and accounting world. 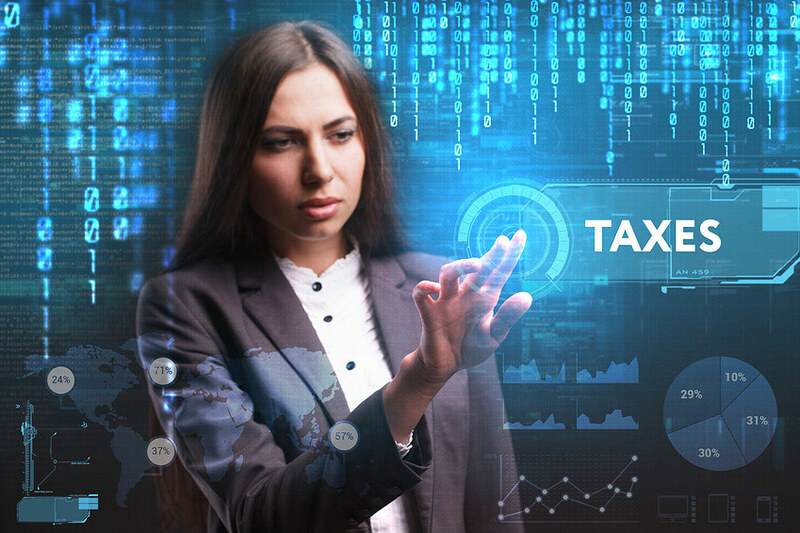 So, with that in mind, this is the first in a series of posts that introduces MTD and a crucial part of that; Personal Tax Accounts (PTAs). 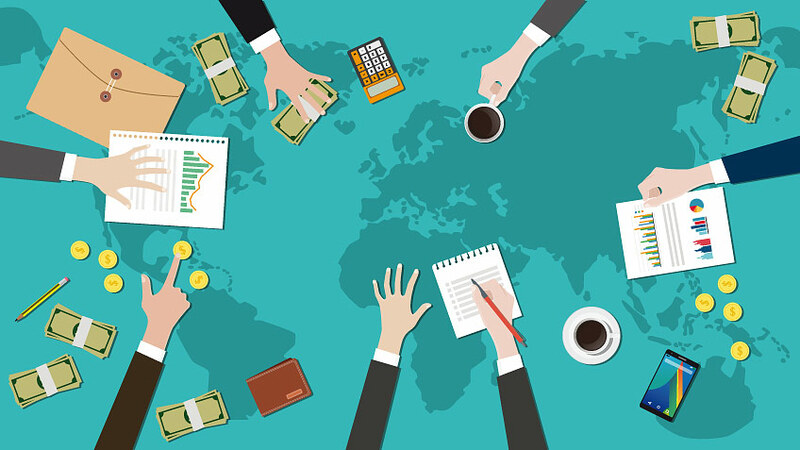 In this series of articles we’ll discuss what MTD will mean for most of us, we’ll look at the kinds of data that will be stored, see how it’ll affect us and, lastly, see if there is anything that we’ll need to do. 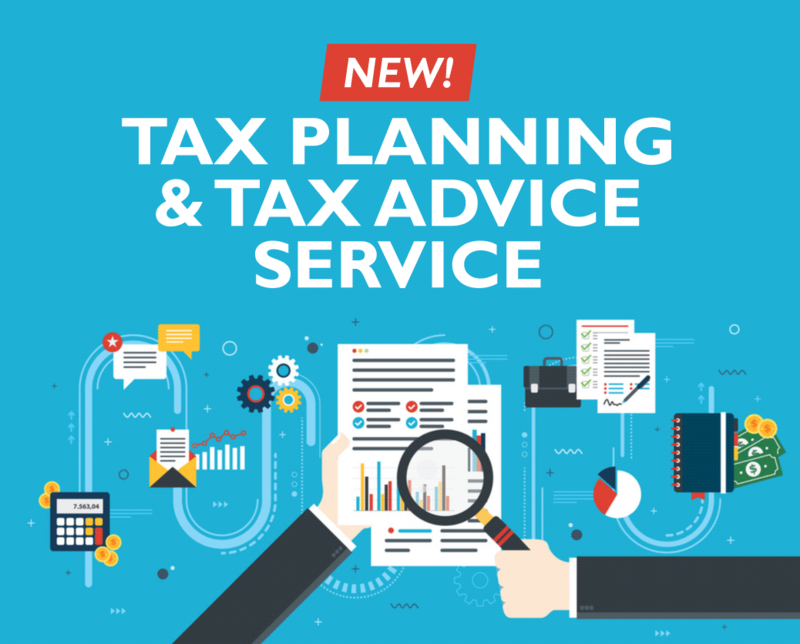 One of the core elements of MTD is the Personal Tax Account (PTA). In years to come, each UK individual is likely to become very used to logging into their Personal Tax Account on the HMRC website. In fact, these already exist and most, if not all, UK taxpayers can already access them if they want to. When accessed, it’s quite interesting to see the huge amount of data already accessible via your own PTA if you care to take a look. You may be surprised just how much data they contain for you. For those not yet ready to take the plunge, we’ve taken a look for you, as you’ll see. And, so far, we are quite impressed. First, though, perhaps you’d like to sign up to view your PTA account for the first time. If you do this you can perhaps follow along with our notes and see how similar records in your PTA are to those in our demonstration account. 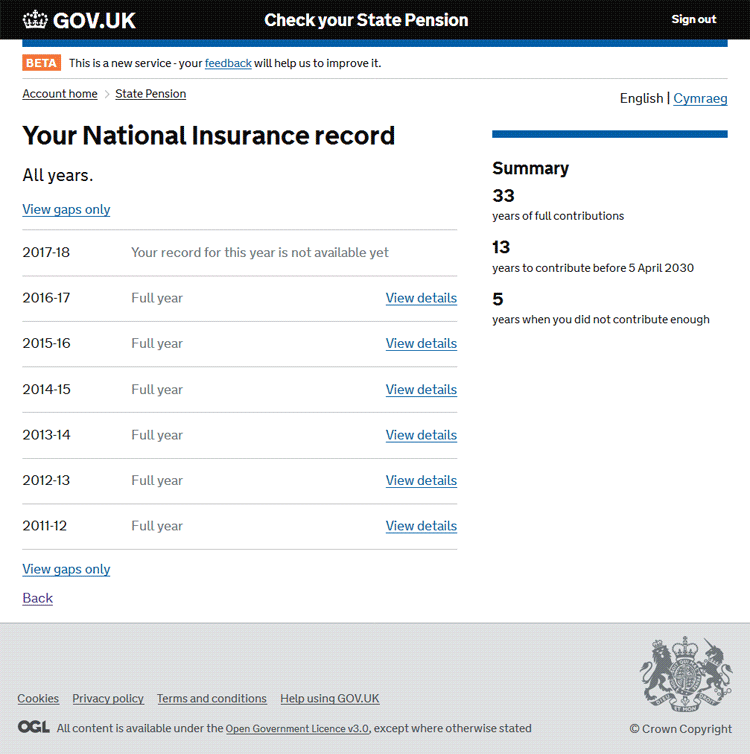 For example, we found the National Insurance Record and resulting State Pension Forecast of particular interest, but that’s just indicative of many different areas available in the new PTAs. Before starting, though, take a look at our quick word about security* because it’s important to keep your personal details safe and out of harm’s way. 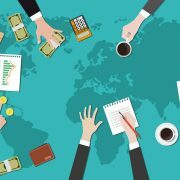 Anyway, if and when you’d like to take a look at your own PTA, head off to this page which will give you various options depending on whether you already have a Government Gateway account (to clarify, you will need a Government Gateway account before you can gain access to your PTA). 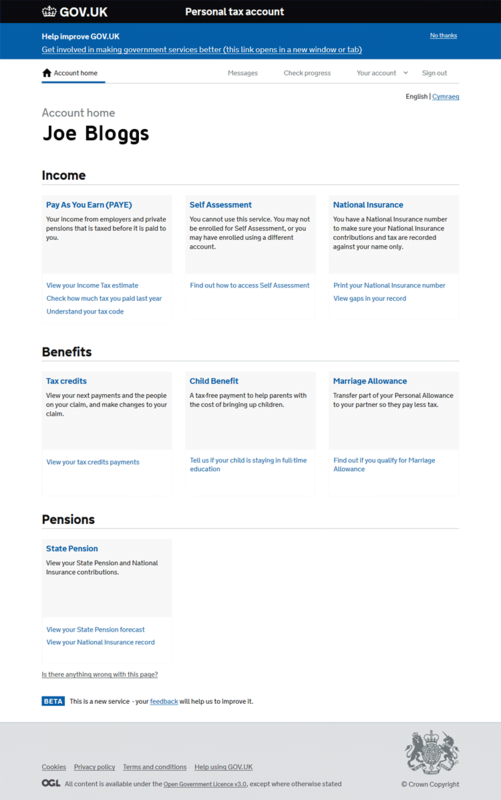 If you’ve used HMRC online services before, you’ll already have a Government Gateway account. If not, follow the instructions on that page in order to set one up for the first time. To do that, you’ll need your National Insurance (NI) number and proof of identity which can include your bank account details, a P60, your 3 most recent payslips or your passport number and expiry date. It takes about 15 minutes to set up if you have these to hand. 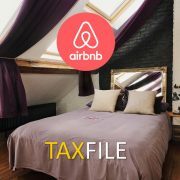 So, assuming you now have your Government Gateway account access credentials sorted out, you can sign into your Personal Tax Account (PTA) here using your User ID and password. When first logging in as a new user, the HMRC system may prompt you to set up an additional level of login security. For example, setting up access codes by SMS (you’ll then be sent a code to enter into the screen when logging in, to prove you are who you say you are. You’ll be sent a new access code to your mobile phone every time you sign in. It’s rather like 2FA (2 Factor Authentication) for those who are familiar with that). You may additionally be asked some security questions, again to protect your data from hackers. In my test I was asked for my full name, date of birth, passport number and similar information (quite a bit actually). This type of heavy duty disclosure is another reason to make sure you have read our security* pointers before disclosing anything sensitive online. 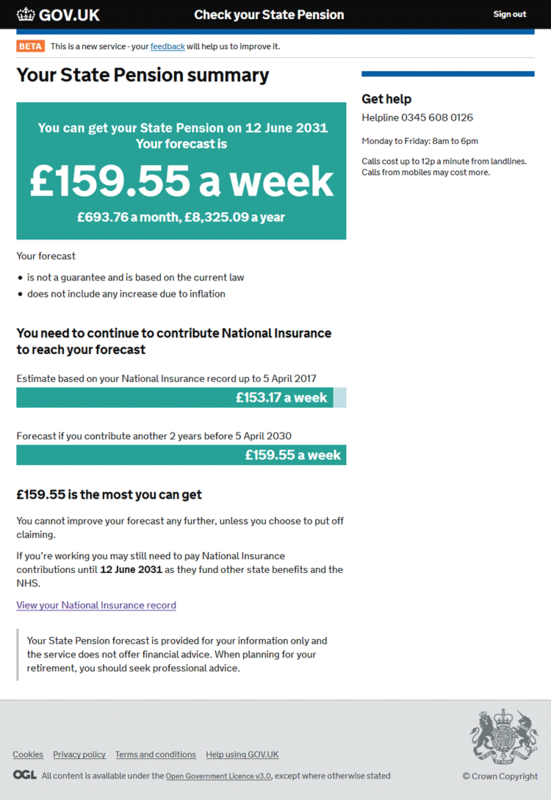 See a forecast of how much you may receive for your State Pension when the time comes. 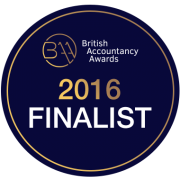 Taxfile are delighted to confirm that they’ve been nominated as Finalists in the sixth annual British Accountancy Awards taking place in November 2016. 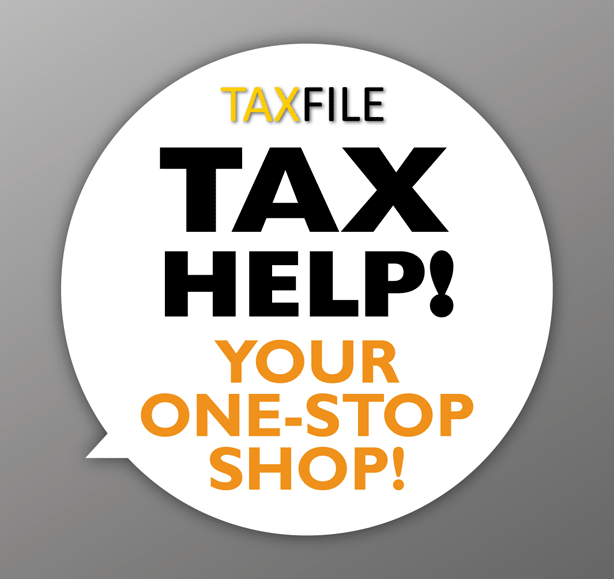 With a real chance of winning the Independent Firm of the Year, Greater London category, all the staff at Taxfile should take this as a pat on the back for their expertise and diligence looking after the tax affairs of clients in the Greater London region. 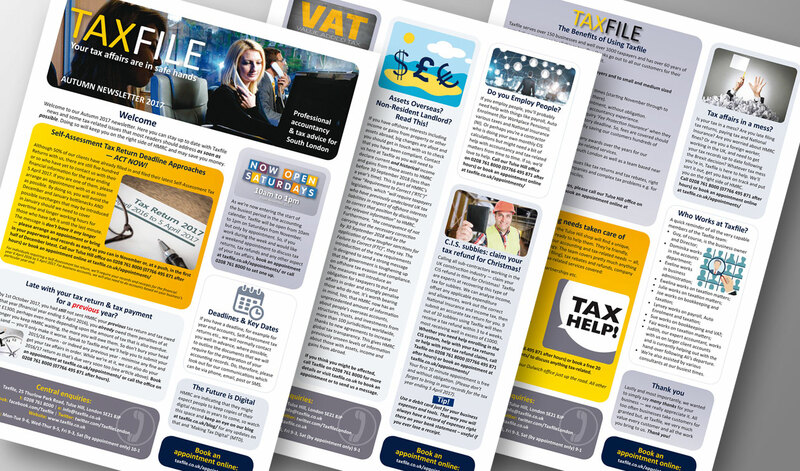 “It’s a great honour!” said Guy Bridger, Taxfile’s Managing Director, who wanted to draw attention to the particularly hard work of Julie, Faiz, Ewelina and Ali on the Taxfile team. 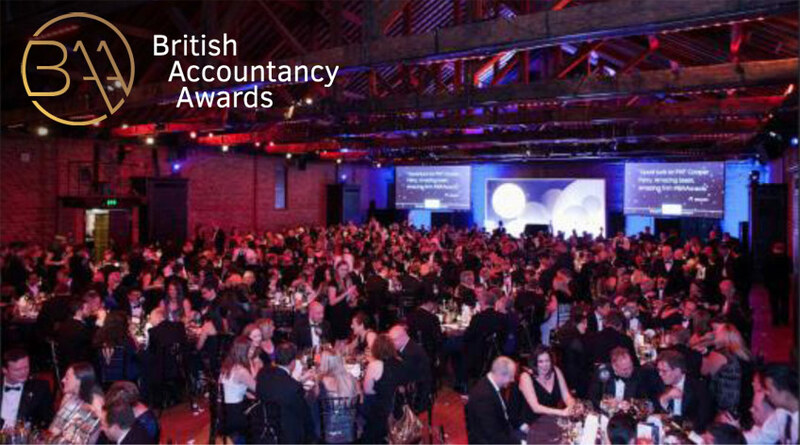 The awards ceremony takes place at The Brewery, London EC1, on 29 November. 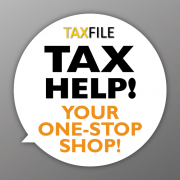 Taxfile can add this to their already impressive list of previous accolades which include being a Finalist in the Award for Innovation and winner of the Best Small Business award. 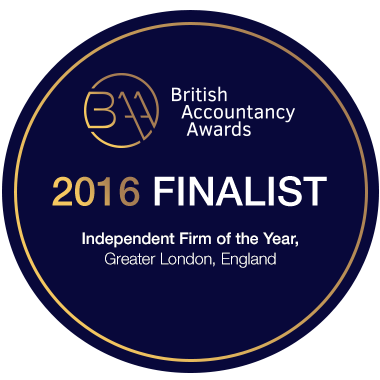 Our congratulations to all staff and best wishes to all accountancy companies taking part — it should be a night to remember!